Grosset & Dunlap, 9780448442679, 160pp. 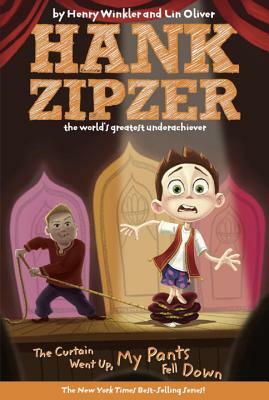 Hank Zipzer is failing math, so he has to work with Heather Payne, resident class brain, to help get his grades up. At the same time, Hank’s school is putting on a production of The King and I. As coincidence would have it, Hank is cast as the King, and Heather as Anna. But when Hank’s dad tells him he can only appear in the play if he gets a B on his next math test, Hank knows he has to hit the books. Can Hank pull through in time for the show?